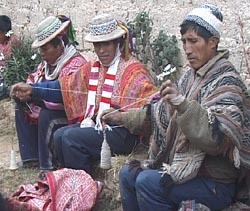 Today, the skills and techniques of hand spinning are rarely practised even where hand weaving and knitting crafts survive. Cheap, inferior, machine made yarns are now readily available in the markets. These unique films from locations across the world show some of the surviving traditions of spinning which still produce yarns used to create the world's finest hand made textiles. 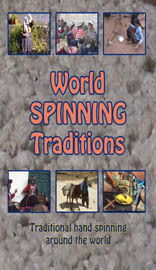 Contents include: Spinning with animal fibres in Peru, Mexico and Turkey, showing washing and carding of fleeces and spinning on drop spindle and wheel. Spinning with Plant Fibres in Laos, Sumba, Guatemala and Myanmar showing carding of cotton, pulling out lotus stem fibres and spinning on drop spindle and wheel. Silk spinning in Thailand showing the culture of the silk worm.